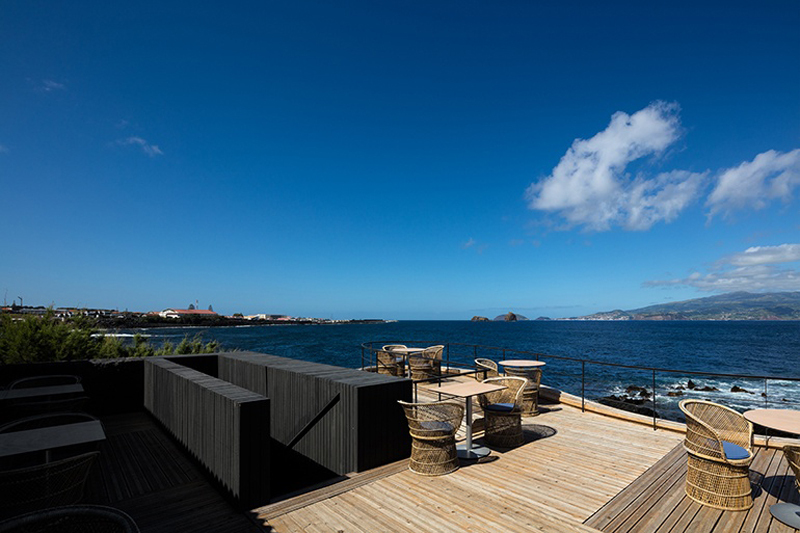 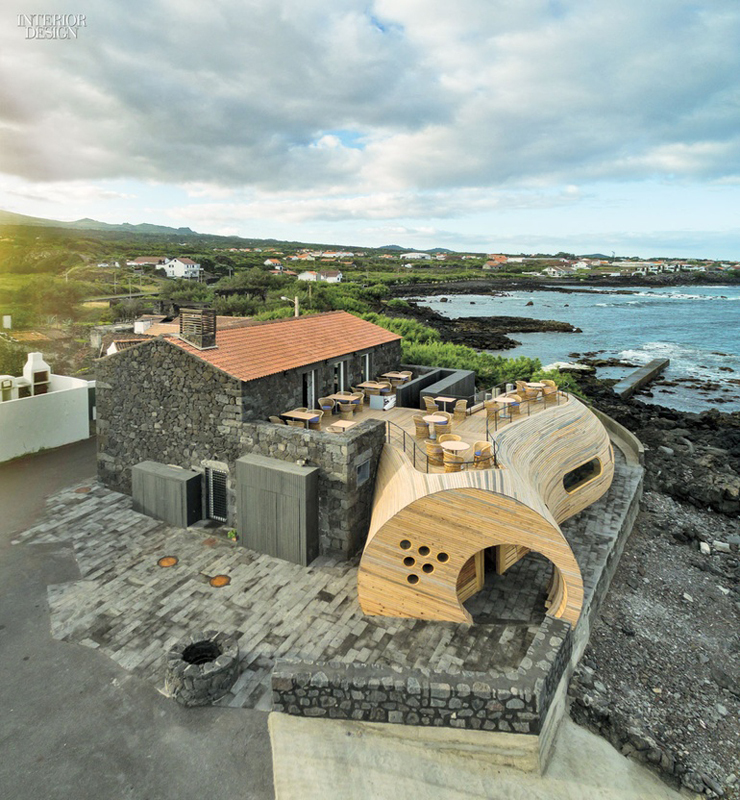 The Cella Bar project consists of two parts – the Azores remodeling a building volcanic stone and wood expansion inspired by the sea and barrels. 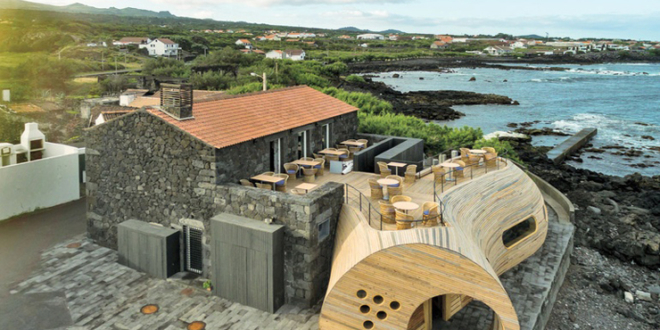 This is a new structure that combines the old and the new one. 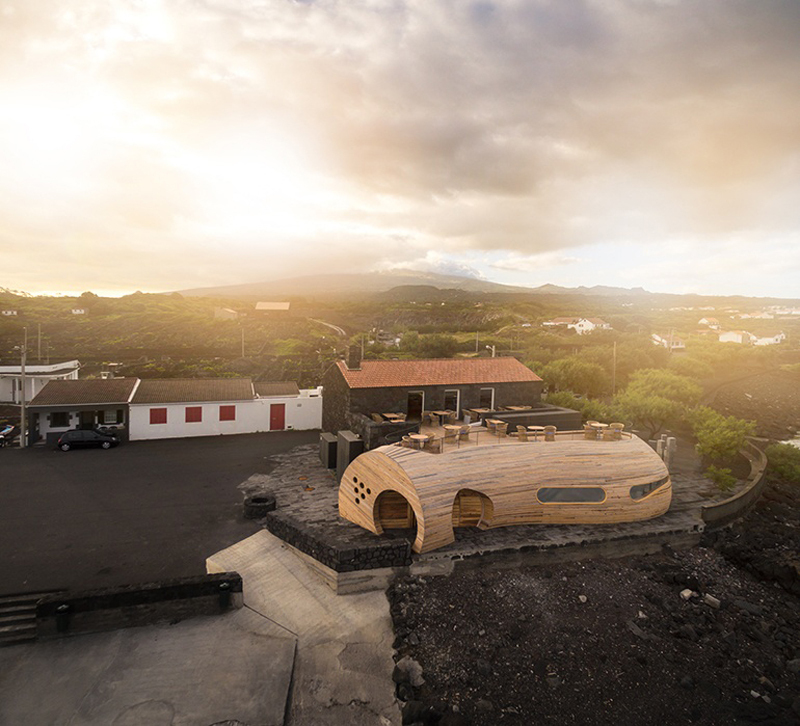 The old being the original storehouse for wine built in the 1930s, originating from volcanic Mount Pico. 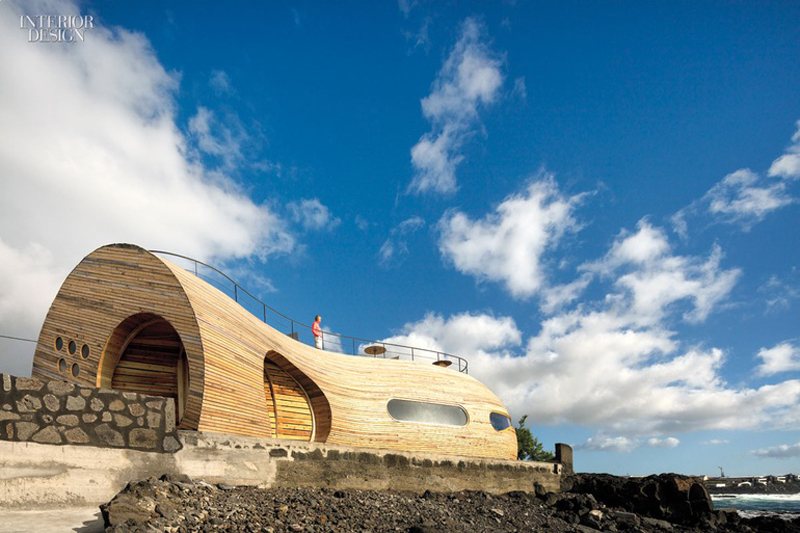 It is with structure made up of natural rocks and cement. 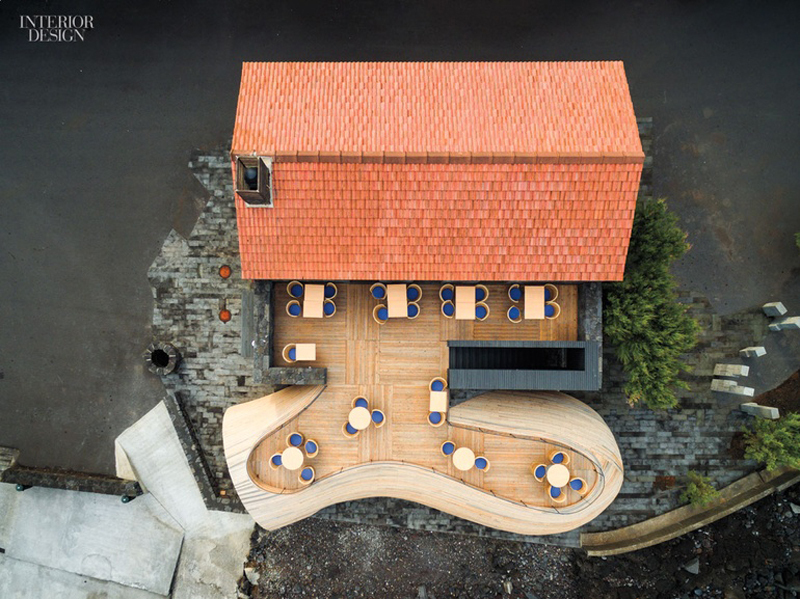 The building is a basic block like structure with a farm roof. 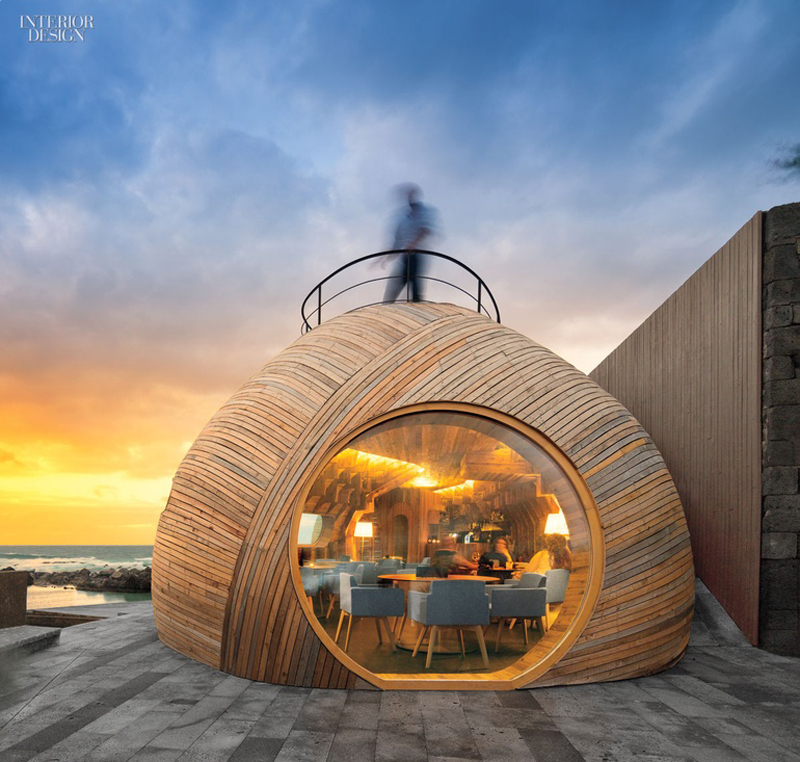 The new one is what was created recently in 2015. 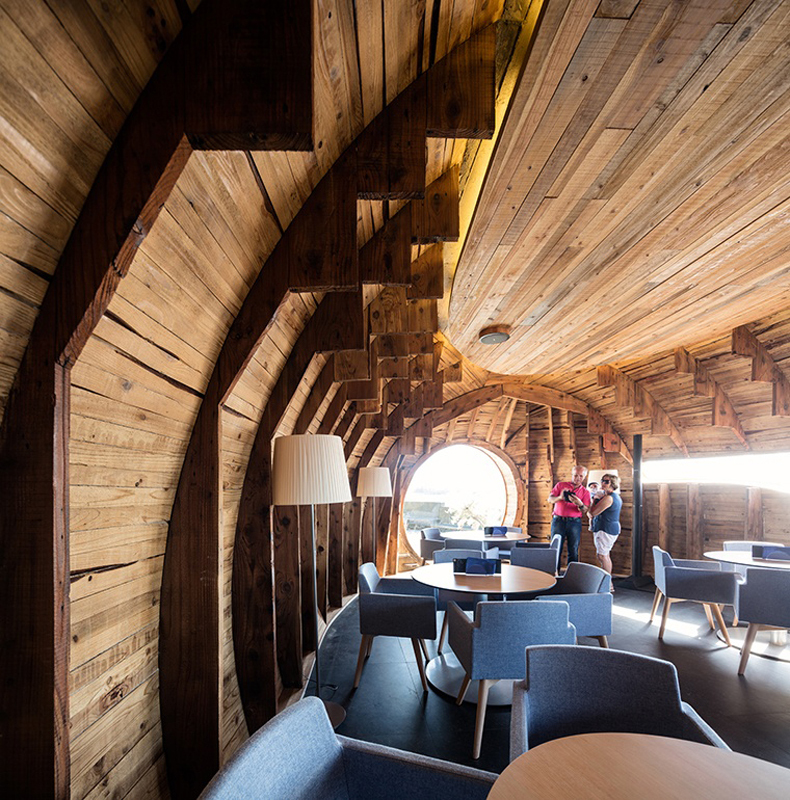 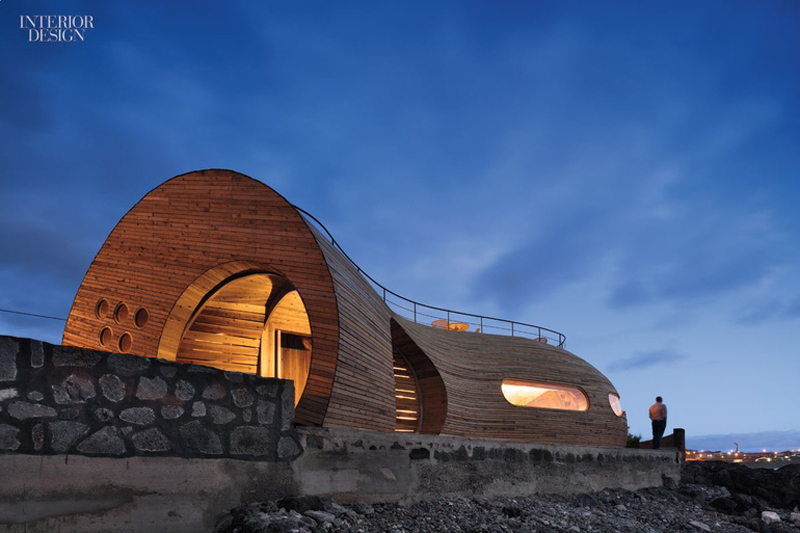 The new structure that combines with the originals is curvilinear and made of boards of cypress. 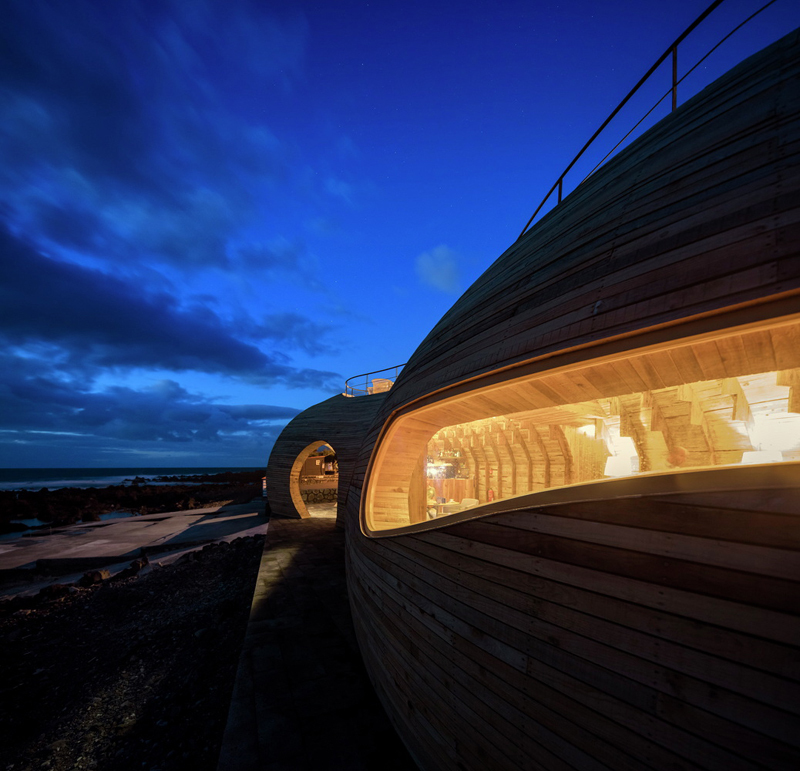 The design is defined by great plasticity, both in terms of forms and materials, and is markedly inspired by the natural environment around the site. 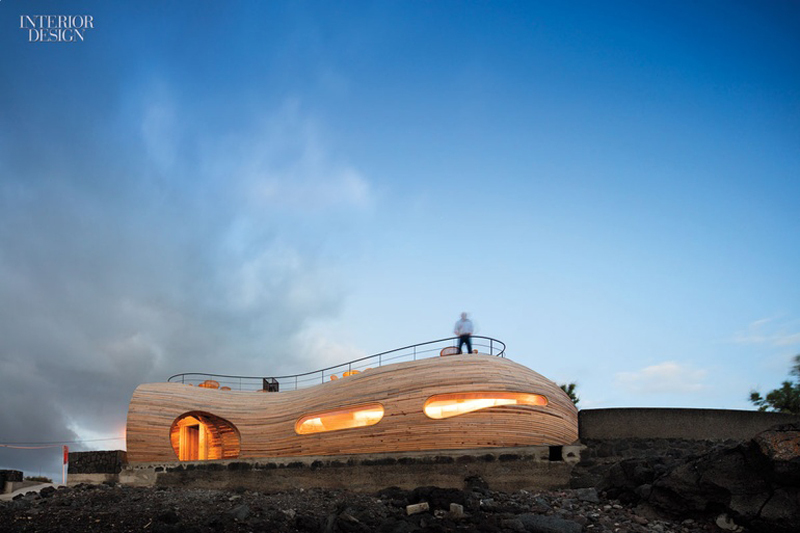 The designer of the architecture is studio FCC Architecture studio – Fernando Coelho, Paulo Lobo is for the interior design and the sculpture of the exterior was created by Paulo Neves. 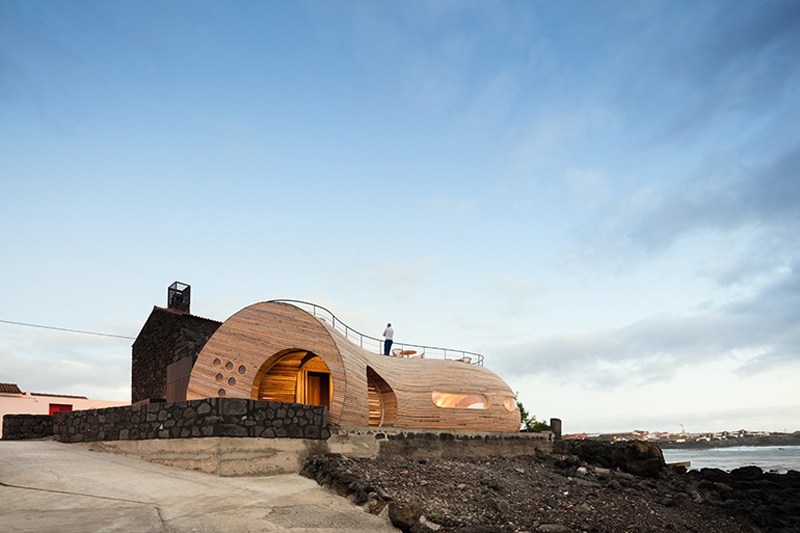 The Cella Bar is located on the west coast of Pico, one of the nine islands that make up the archipelago of the Azores in the middle of the North Atlantic Ocean. 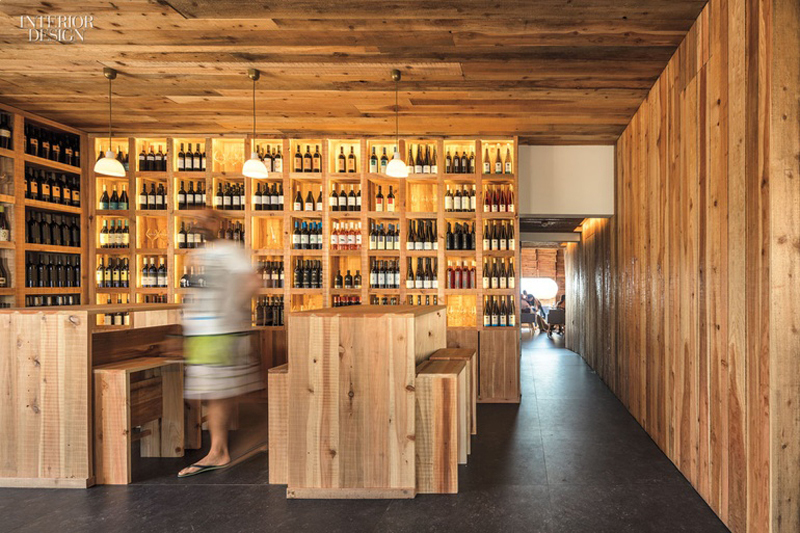 The Cella Bar – Bar & Tapas Restaurant is located next to the bathing area of Barca and distinguished by two spaces, dividing the bar from the restaurant. 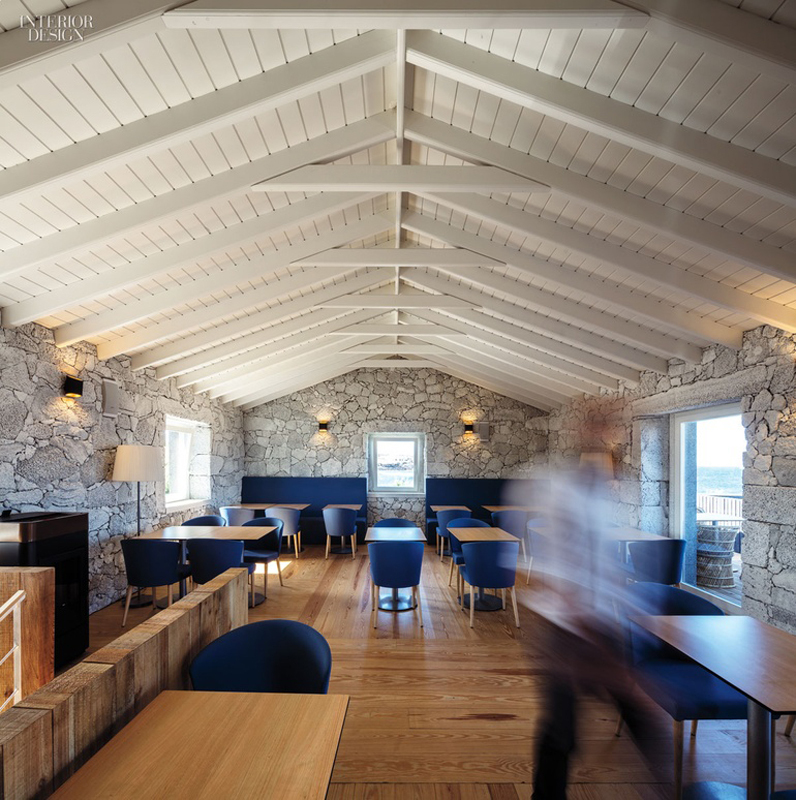 In the stone building works the restaurant and the extent to wood is used for the bar. 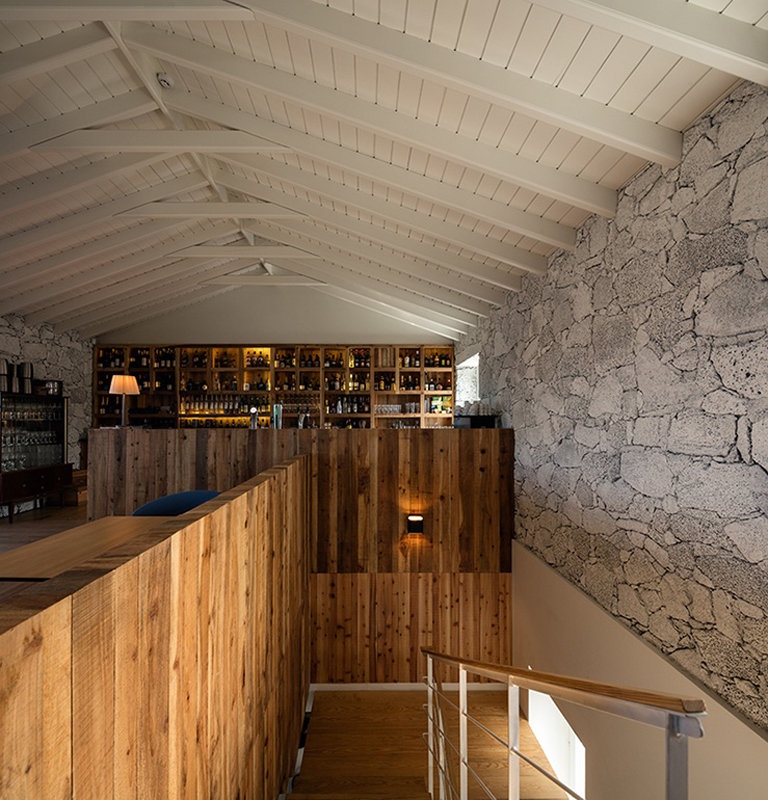 The walls, roof and door frames have been restored, preserving the original construction. 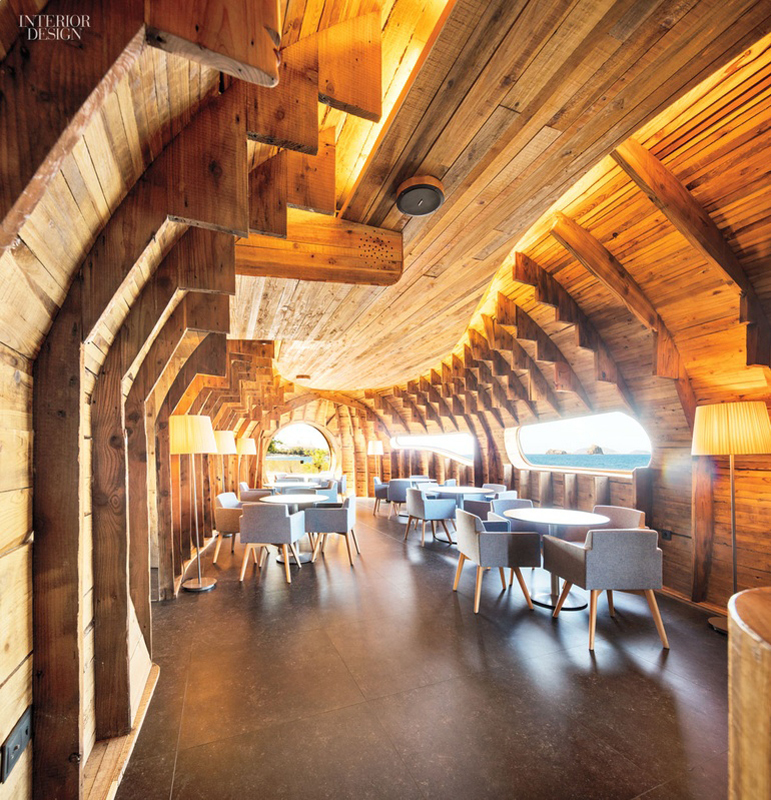 The interiors were redesigned, shaped to their new roles. 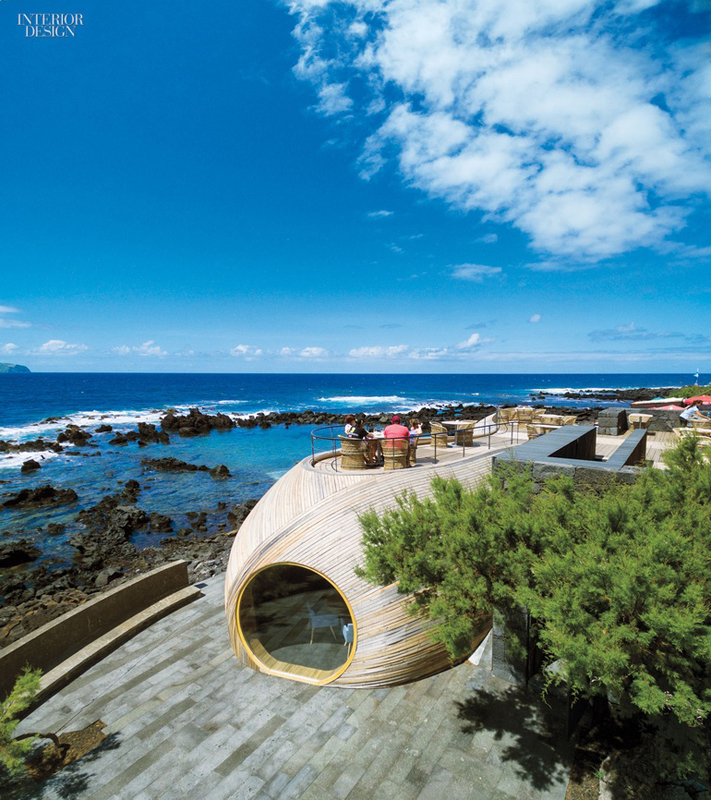 For the lucky ones who are visiting the Pico Island do not forget to try the terrace, over the ocean, and ask for some tapas with a good wine for a great evening with your friends! 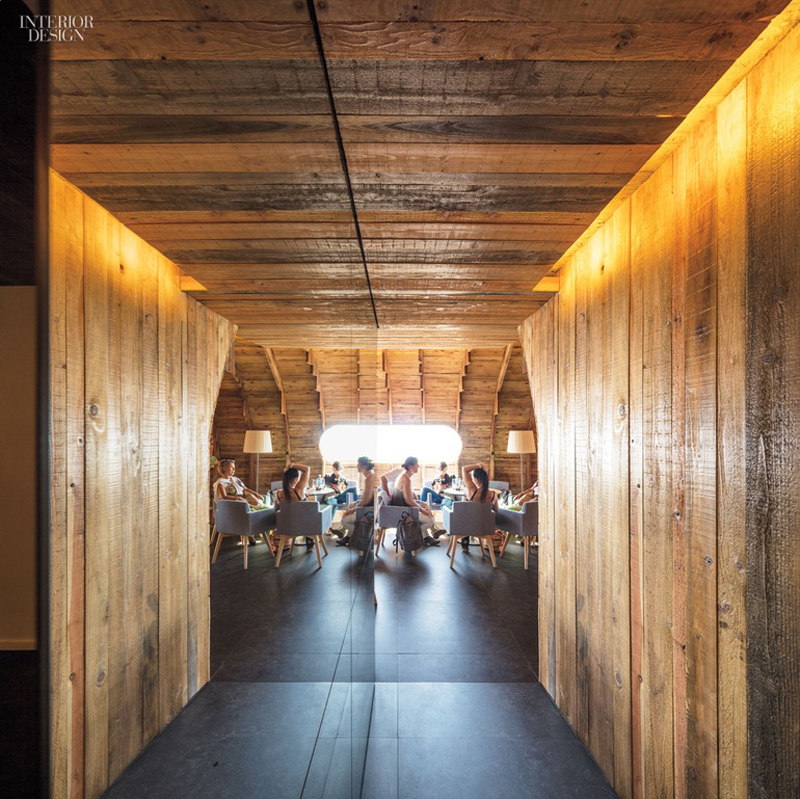 Previous article The Ovolo Woolloomooloo Hotel – very stylish and international destination for travelers.